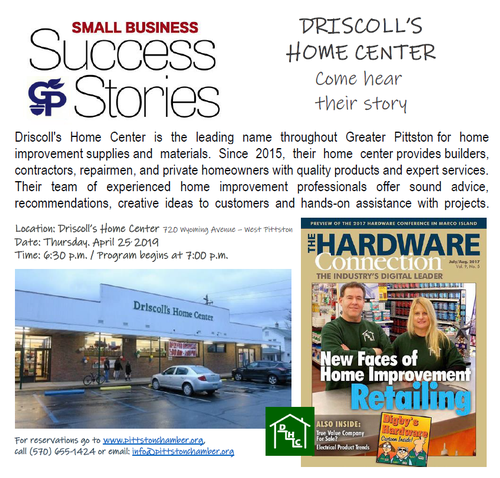 ﻿Driscoll's Home Center is the leading name throughout Greater Pittston for home improvement supplies and materials. Since 2015, their home center provides builders, contractors, repairmen, and private homeowners with quality products and expert services. Their team of experienced home improvement professionals offer sound advice, recommendations, and creative ideas to customers as well as hands-on assistance with projects.